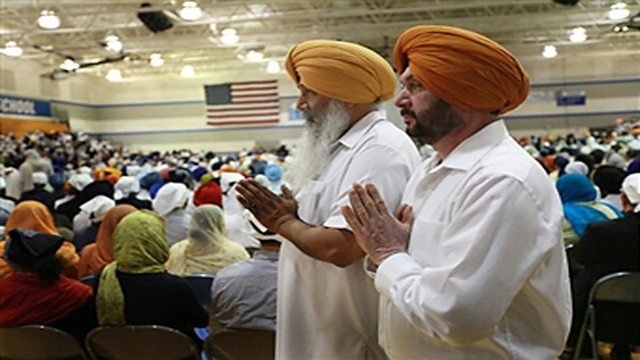 In August last year a gunman entered the Sikh Gurduwara in Oak Creek in Wisconsin and shot six worshippers. Matt Wells travels to the town to find out how the small, modest community has recovered since it was torn apart and thrust into the headlines. He meets the families of those gunned down to learn how their deep faith has helped them come to terms what happened, but also how it has led to many of the younger Sikhs to question some of the central pillars of their faith and what they mean today. The gunman who entered the Gurduwara, Wade Michael Page, belonged to a white supremacist group and Matt meets Arno Michaelis, once a member of the same group, who tells him that it could easily have been him who shot dead the worshippers that day in August. Photo by Scott Olson, copyright Getty Images News.